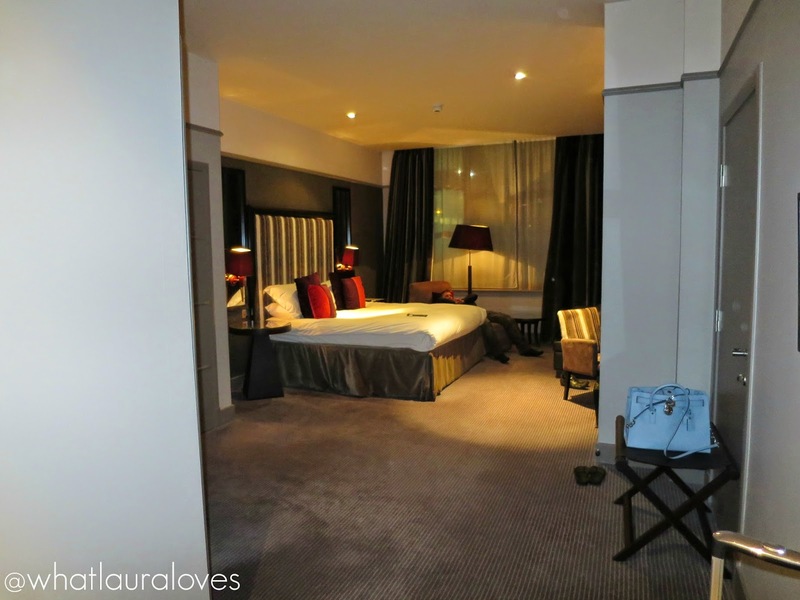 On Friday, Mr WLL took me to the Malmaison to stay for the night to celebrate my birthday. We had the most beautiful room and after checking in, we headed to the hotel bar for drinks over looking the quayside before dinner. I picked out the mint skater dress from Yours Clothing to wear because I didn’t think there’d be many more opportunities to wear such a light, sweet colour before the springtime. I love the colour mint and think that it goes really well with the black lace waist detailing on the dress. The material of this dress is quite thick, it almost feels like scuba style fabric in that it is thicker and has more structure in the way that it flares out to the hem. I decided to wear it with my Jesse Suede Platform Wedges from Ikrush. They’re in a really pretty muted mint shade and they are ridiculously high. Around 5.5″ to be exact but despite this, they are very comfortable to walk in. No one was more surprised than I was at this as I took one look at them and thought they’d hurt my feet but they don’t at all. I think that must be thanks to the high platform at the front which makes them really comfortable to walk in. They are also very true to size. These are the first pair of Ikrush shoes I’ve tried and I’m really impressed. They’re so affordable and they have LOADS of pairs of shoes I’m eyeing up for nights out as well as some gorgeous pairs of quilted boots to give the likes of Chanel a run for their money. So stunning. I love the bag in the hotel room photo too! Beautiful dress and shoes!You look stunning!